Michael Rosnick graduated with a B.A. from Skidmore College in 1996 and received his law degree from Quinnipiac University School of Law in 2000. He was admitted to the Connecticut Bar in the same year. Attorney Rosnick has appeared before the Connecticut Supreme Court and the Connecticut Appellate Court. 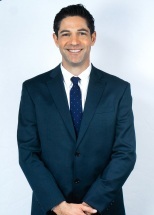 In 2008-2012, Attorney Rosnick was named a “Rising Star” by Super Lawyers magazine in the area of Personal Injury. From 2014-2018, Attorney Rosnick was named a “Super Lawyer” by Super Lawyers magazine in the area of Personal Injury, once again. In 2012 and 2013, Attorney Rosnick was named "Top 40 under 40" by the National Trial Lawyers Association. From 2013-2016, Attorney Rosnick was named "Top 100 Trial Lawyers" by the National Trial Lawyers Association. Attorney Rosnick has tried many cases before the Connecticut Superior Court and the Workers' Compensation Commission, and he helped effectuate a settlement in a drunk driving case worth close to 1.9 million dollars. Recently, in 2011, Attorney Rosnick reached a settlement of $1 million dollars in a motor vehicle accident case.